(MENAFN - Gulf Times) Al Jazeera has obtained exclusive footage that proves the presence of child soldiers in the recruitment camps of the Saudi-UAE-led coalition fighting in Yemen. The children, desperately poor, are being recruited to fight along the Saudi border to defend it from the Houthis, a rebel group that overran the capital, Sanaa, and large swathes of Yemen's northwest in 2014. In 2015, Saudi Arabia and the United Arab Emirates (UAE) formed a coalition to overthrow the Houthis — plunging Yemen into a ruinous war — supported by forces loyal to the country's internationally recognised government. The conflict has created the world's worst humanitarian crisis, pushing Yemen to the brink of famine and leaving about 80% of its population — 24mn people — in need of humanitarian assistance. However, many children face an even worse reality: being recruited by either warring side to fight in the conflict. According to the United Nations, two-thirds of the child soldiers in Yemen fight for the Houthis. The others fight for the Saudi-UAE-led coalition. Although Yemen and Saudi Arabia signed the international protocol banning involvement of children in armed conflict in 2007 and 2011, respectively, at the end of 2018, Saudi Arabia was accused of recruiting Sudanese children from Darfur to fight on its behalf in Yemen. Today, Yemeni children are being recruited using local trafficking networks to defend the Saudi border. Bereaved families interviewed by Al Jazeera questioned why the coalition would need to recruit children to fight in its war. Al Jazeera investigated these claims. In the southern city of Taiz, Al Jazeera spoke to 16-year-old Ahmad al-Naqib and his family at the end of 2018, and the family of Mohamed Ali Hameed, 15, in February 2019. Both boys left their home, chasing promises of a regular paycheck and non-combatant roles. Ahmad was able to flee and tell us his story, but Mohamed never made it home after he was recruited, leaving his father to tell his story. 'He had graduated from high school and started working, but before we knew it they had recruited him. He insisted on going to Al-Buqa', Mohamed's father, Ali, told Al Jazeera in an interview in December. 'It has been five months since he left. We have not heard anything since; we still don't know where he is, he added. Both teenagers, who came from a poor background, embarked last year on separate and arduous journeys from their villages near Taiz, in the south of Yemen, towards the Saudi border crossing of Al-Wade'a in the north. According to Ahmad, Al-Buqa' in Yemen — close to the Saudi border — where Yemeni children are being trained to fight, it is also an area that has seen frequent fighting between Houthi rebels and the Saudi-led coalition. In order to avoid exposure to the Houthis, buses carrying people to Al-Buqa' were going through the border town of Al-Wade'a into Saudi Arabia. The teenagers were first contacted by recruiters in the south's poverty-stricken villages; they were looking for young boys to take to the Saudi-Yemeni borders. Ahmad said he and many other boys were recruited ostensibly to work in the kitchens of Yemeni military units stationed inside Saudi Arabia. 'We went because we were told we would be working in a kitchen and making SR3,000 ($800)...so we believed them and got on the bus, Ahmad told Al Jazeera. Typically, a recruiter would deliver his human cargo to a trafficker at one of the Yemeni cities along the route leading up to the borders. The trafficker would then deliver the young recruits to another smuggler who would provide them with identification cards — if they did not have one — so they are able to cross into Saudi Arabia, where they would be placed into a military camp. Al Jazeera called a trafficker, posing as a man interested in travelling to a military camp with three boys between 15 and 16 years old. The trafficker said the boys would be 'bought by someone at Al-Wade'a who would provide them with military identification. After expressing concern that the boys would be turned away for being obviously underage, the trafficker said: 'Don't worry, there are many just like them. In a follow-up phone call with the trafficker about the fate of the boys, he said: 'Don't worry, this stuff isn't important to us. What is important is that they are good soldiers. Boys as young as 15 or 16 are recruited to fight on both sides in Yemen's war. Ahmad got to al-Wade'a and went further inland, but did not go all the way to Al-Buqa'. He heard from people in an intermediary camp that they would only be paid half the $800 salaries they were promised every two or three months and that he might not be a cook after all. 'They give you your gun and send you to the front lines (to fight the Houthis), Ahmad was told. 'They take them into battles to defend Saudi Arabia. As if these children are the ones who will defend the kingdom. Where are their weapons, their aeroplanes? said Mohamed al-Naqeeb, Ahmad's father. Ahmad said he and others managed to flee the camp late last year. Fifteen-year-old Mohamed was not one of them. 'His mother is devastated. She has given up. I wish he'd just call to let us know that he's OK; that's all we want. We just want to know if he's alive or dead, Mohamed's father said. 'These young and irrational boys should have never been allowed to be enticed and recruited to fight in the war. The government should have sent them back home to go to school, but in a time like this, conscience is dead. Instead, they're welcomed with open arms, he added. Al Jazeera obtained access to a secret list containing the names of Yemeni soldiers captured by the Houthis that Yemen's government submitted during a round of talks between the warring sides in Sweden last year. Mohamed's name was not on the list. His fate is still unknown. Ahmad, on the other hand, managed to come home to his anguished parents after escaping from the camp. But a terrible fate awaited him. In January, a stray bullet hit the young boy in the head, ending his short life. 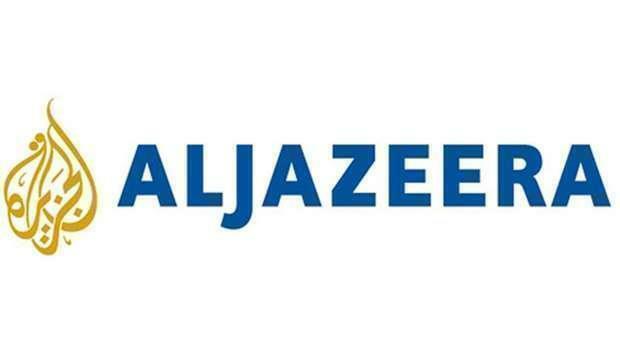 Al Jazeera contacted the Saudi Ministry for Foreign Affairs for comment. They have not responded to the request.